Say goodbye to bad debt and poor business relationships. 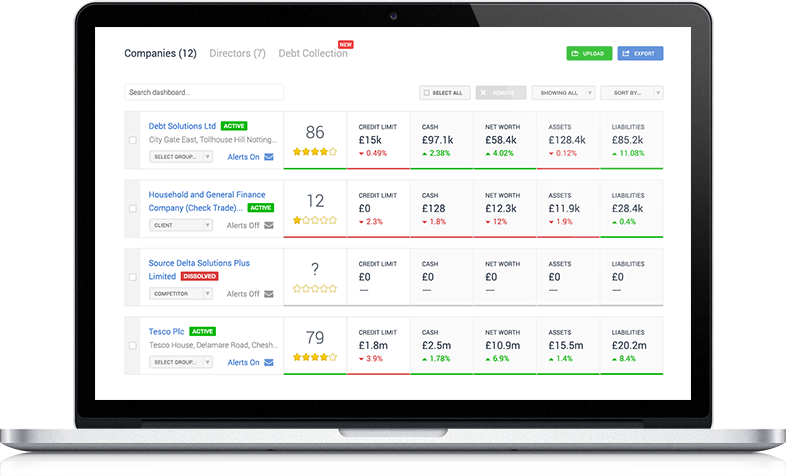 Search by company to access over 15m credit reports across the UK & Ireland and reduce your risk. Understand any risk associated with the people you do business with. Search directors to access detailed Director reports, revealing the performance of all an individual's companies. Enhance your business by updating the details on your company page. Add contact details, references and other vital information to make your business stand out. Contact us in whichever way suits you, phone, live chat or ticket. Our dedicated support team are available Mon-Fri 9-5. Priority support queries will always be answered the same working day.